No, not everything is online yet. 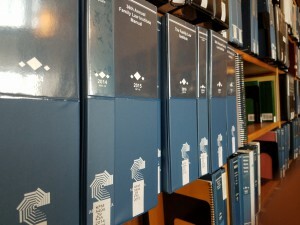 A recent visitor to the Ramsey County Law Library (RCLL) was amazed at the number of volumes we have here. “Isn’t everything online these days?” he asked. Experienced researchers know that not everything is online, and certainly not all legal materials online are free. 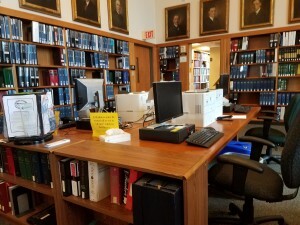 RCLL, along with many other County Law Libraries in Minnesota, do offer some very useful materials in print that are not available for free online. Course material from Minn CLE. Our collection contains all the deskbooks published by Minnesota CLE, a key provider of educational material for Minnesota lawyers. These deskbooks are well-written, and give practical, comprehensive information for attorneys. Best of all, the content is regularly updated and refreshed. While they do have an online product, it isn’t free. However, the law library has a standing order for all material published by Minnesota CLE, and we allow attorneys to use and borrow these items for free. RCLL also is on standing order to receive most course materials that accompany the CLE seminar of the same name. The course books (easily identified by their blue, three-ring binders) often contain explanations of specific aspects of a topic, or focus on new developments that might not be found in standard treatises. Here is a bonus – the individual chapters of course materials are listed in the RCLL’s online catalog. Your search results will pull up the course materials if one of the program handouts match your search! How cool is that? Another very useful resource that we have that is not available for free online is Dunnell Minnesota Digest. This encyclopedia of Minnesota law has an easy-to-understand arrangement (all topics are in alphabetical order), an index, periodic updates, and lots and lots of references to cases. It is a great place to start your research if you are not familiar with an area of law and you want access to major cases and statutes. The narrative style makes it a good tool for self-represented litigants, too. In the law library, this set of books is conveniently located on the shelves at the front reference desk. 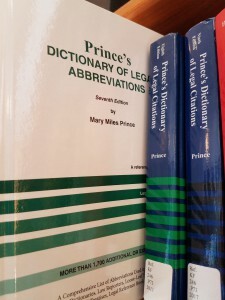 Prince’s Dictionary of Legal Abbreviations. Physical reference books are still useful, even in the age of Google. 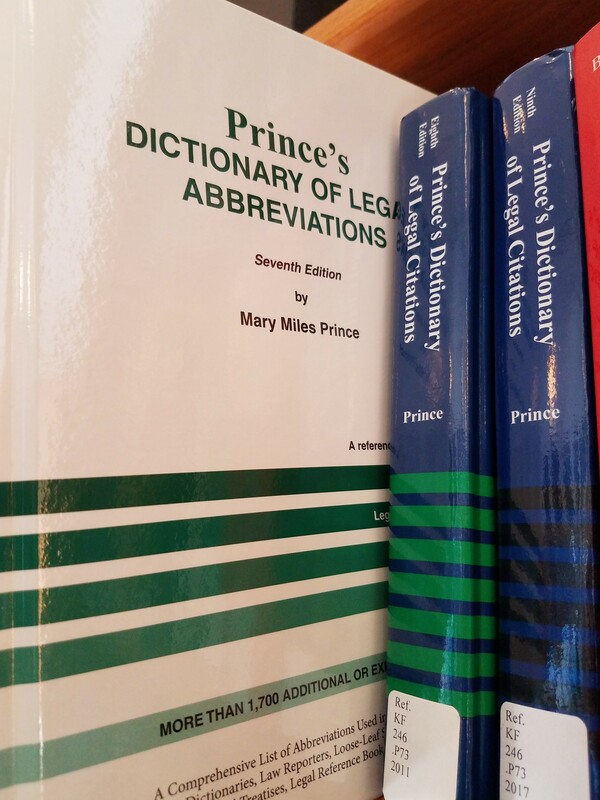 One such tool is Prince’s Dictionary of Legal Abbreviations. If you have ever encountered an unfamiliar acronym, abbreviation, or symbol whilst researching, this is the definitive source to help you identify these abbreviations. This book contains nearly 36,000 terms used in legal encyclopedias, law dictionaries, law reporters, loose-leaf services, law reviews, legal treatises, legal reference books, and citators. To find this handy reference book, all you have to do is visit the reference desk in the Ramsey County Law Library.